Round dump bin. 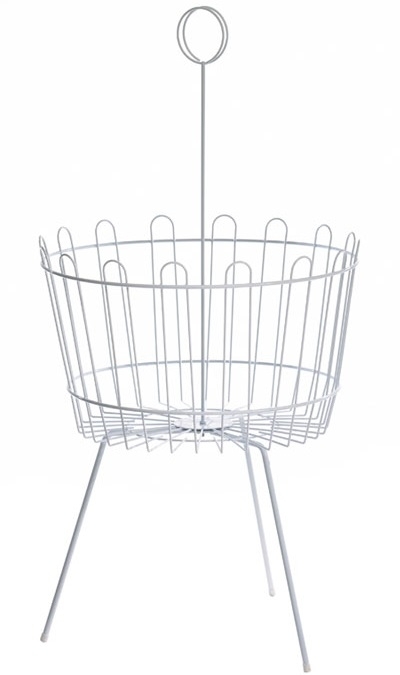 540mm diameter x 330mm deep wire basket. The basket is assembled to the sturdy base of the screw end of the ticket holder. Overall height of the basket and base is 670mm. White nylon coated.